Disclosure: TRIGGER WARNING* (read below). I was sent this book for review. As always, my reviews are fair and unbiased. 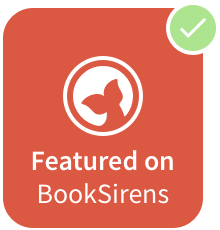 First Thoughts *Firstly, if you are triggered by any kind of talk about OCD and Anxiety or Depression, please be cautioned that this review talks about all three of these things, because they relate to the theme of the book. * Review The thing about books that touch upon OCD and other illnesses alike, is that they tend to be very hit-and-miss. Nowadays, it's very much required that an author does very thorough research into the illness before writing about it, because otherwise it's not portrayed as lifelike as it should be. In Every Last Word, Tamara does capture what it's like inside the mind of someone with purely-obsessional OCD. There are many kinds of OCD that vary from mind-to-mind, so it's always an intricate thing to get just right. As someone who suffers with a few of the types of OCD (Intrusive Thoughts related), Social Anxiety and previous Depression, I was reeled into Sam's story. She's different from other main characters I've read about in typical High School books. Although she is popular and has tons of friends, she hides behind the facade of her popularity to mask her pain. She reminded me of Lydia Martin from Teen Wolf, pretending to be someone else to be loved, out of fear of not being understood. Her popular friends will never understand her OCD, she knows this for sure, because one wrong move and she would be kicked off her pedestal. But when she meets Caroline and is introduced to everyone in Poet's Corner, Sam finally starts to feel normal (even though having OCD doesn't make her not-normal). They understand her and make her heart sing. But things take a turn, deeply rooted into everything to do with Sam's newfound happiness, and she's left hanging by the moment in a fight or flight reaction. Overall, Every Last Word is a refreshing and welcomed read. Although I would have liked it to be a little more realistic, it did hit the perfect note and captured what it's like to live with a certain type of OCD. But of course, in real life there isn't a true happy ending to having this illness and having that reflected would have been a great addition. But that said, this novel truly was a breathtaking read, dealing with complex issues that were handled with grace. Tamara has always been one of the best voices in YA and it took me so long to get around to reading Every Last Word, but now I wish I had picked it up a little sooner. Four stars! Rating & Recs For fans of Contemporary YA. 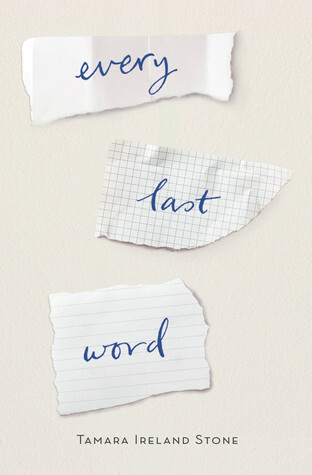 Have you read Every Last Word?